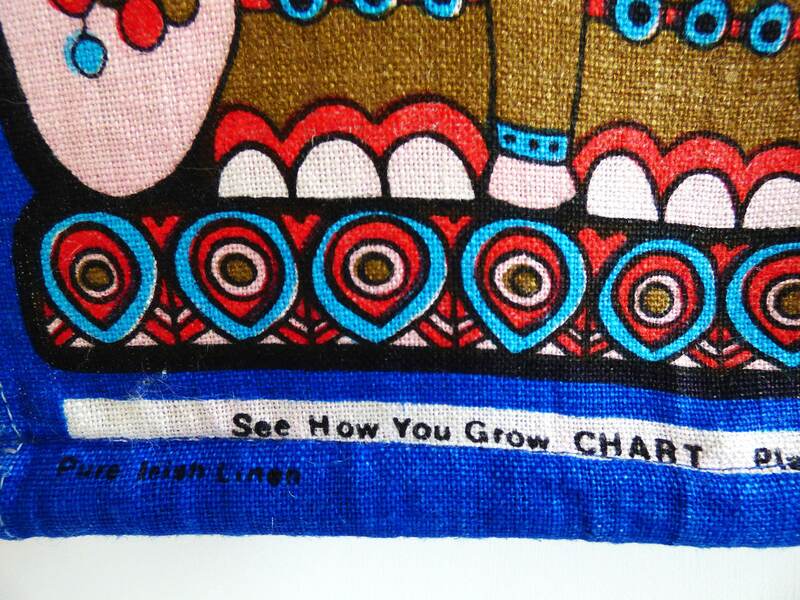 Vintage Ulster of Ireland Wall Height Chart. 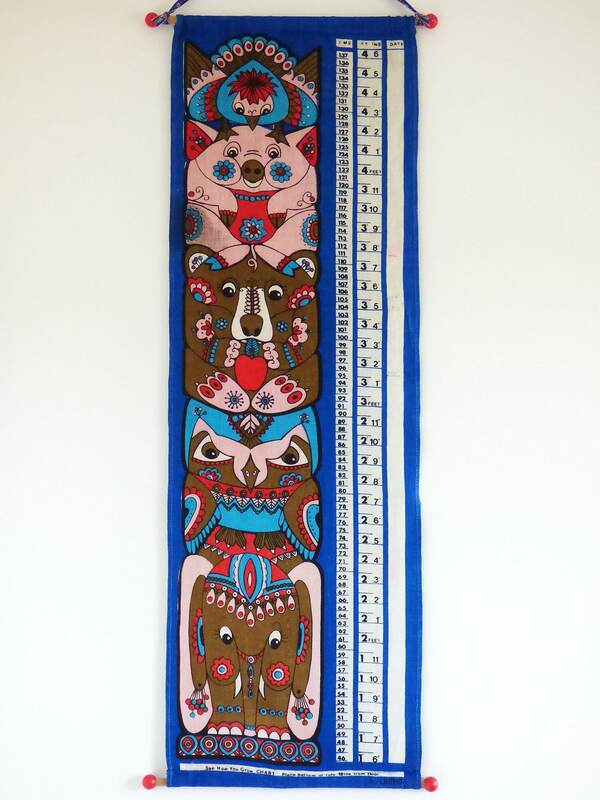 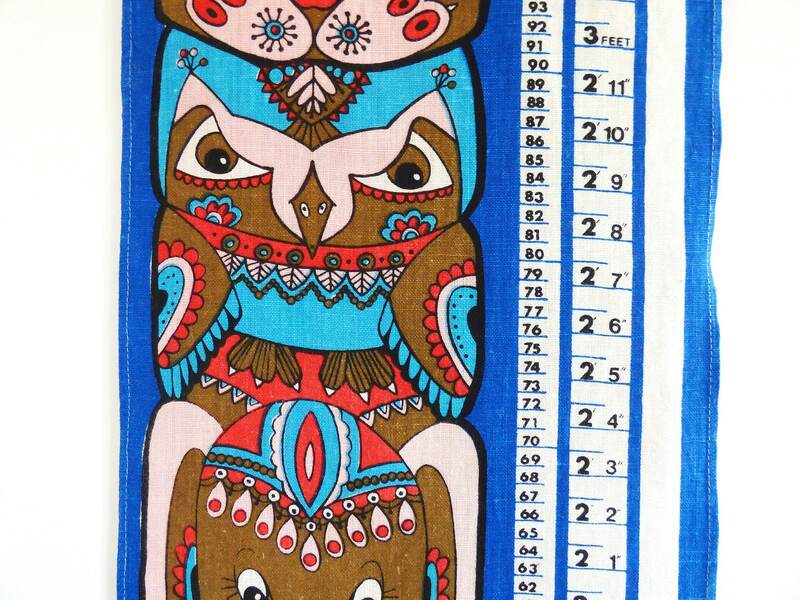 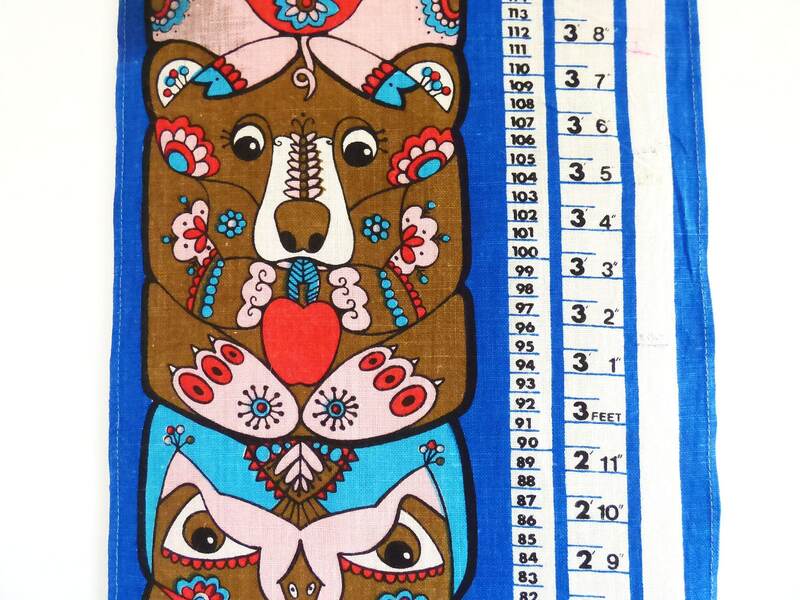 Stunning linen height chart from Ulster of Ireland, depicting a beautiful tall totem pole design of various animals, the linen is hung from 2 wooden poles, with red plastic finials. 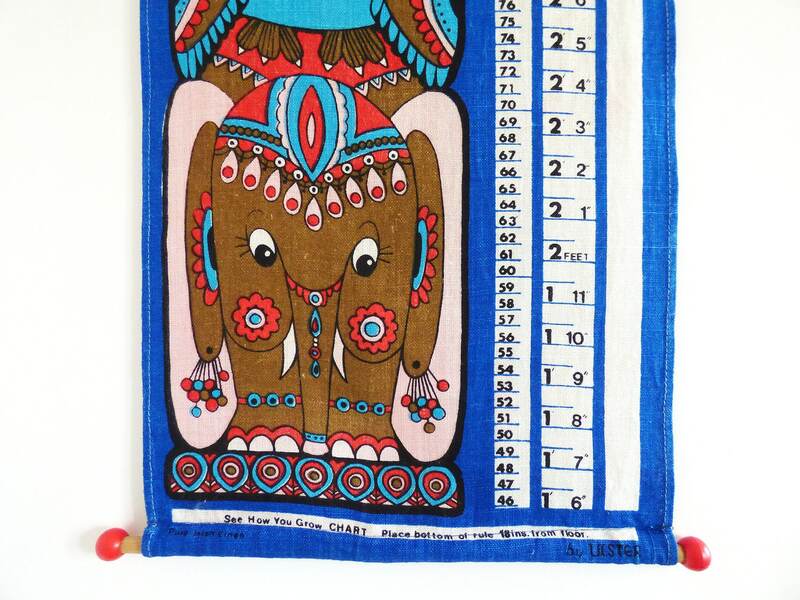 The wall chart has Cm and inches and a space to use a laundry pen, to write in the date and name, each height was achieved. 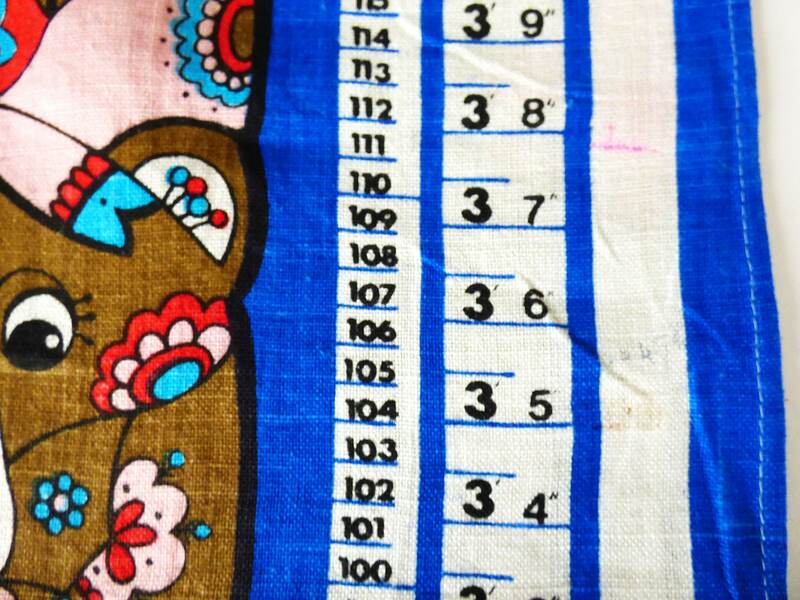 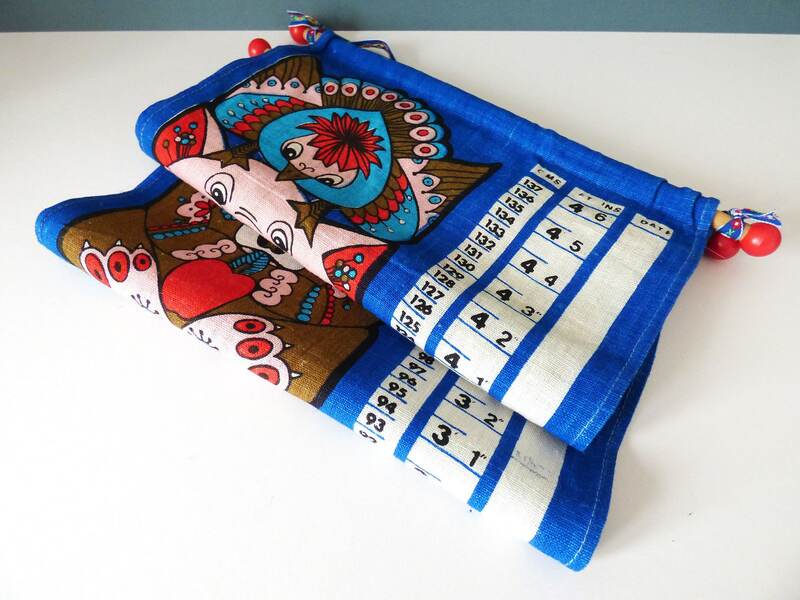 A beautiful vintage piece which would make an unusual gift for a new born or toddler, the height chart has been used and does have some faded pen measurements written in. 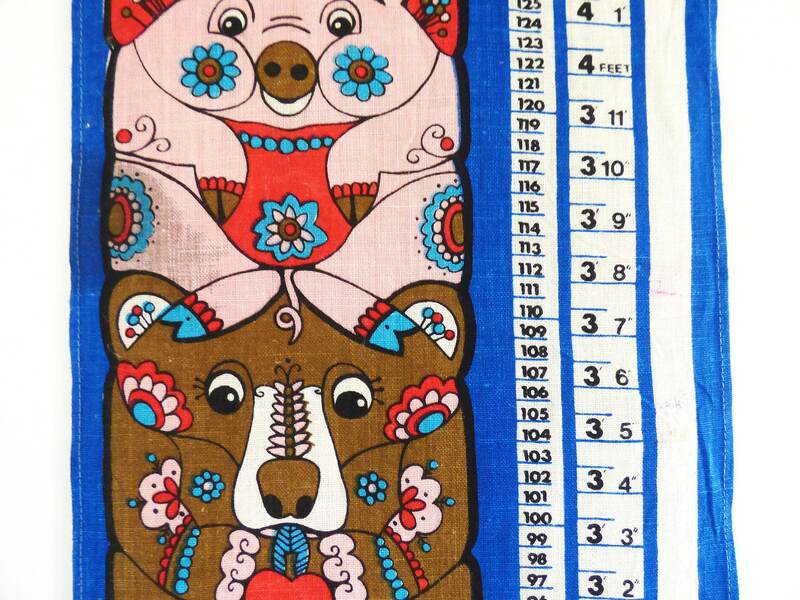 I think if you use a strong black laundry pen it will be easy to identify the new measurements. 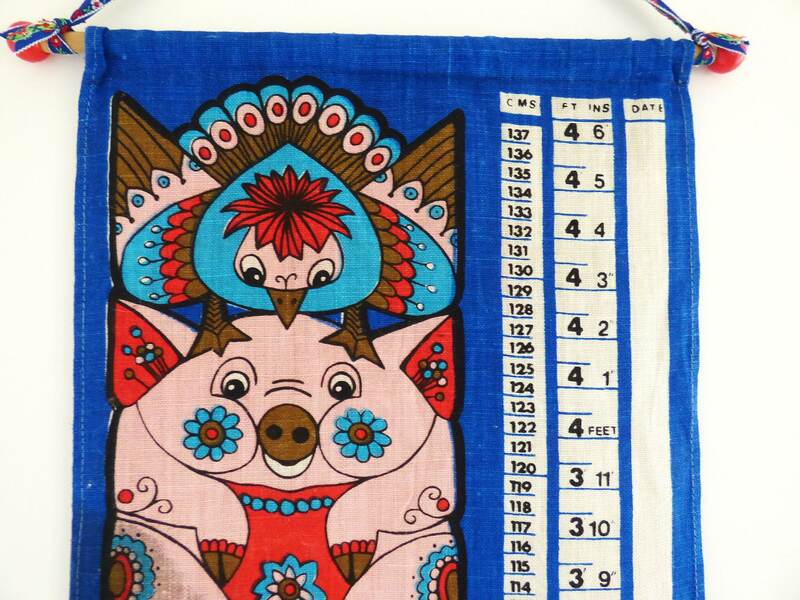 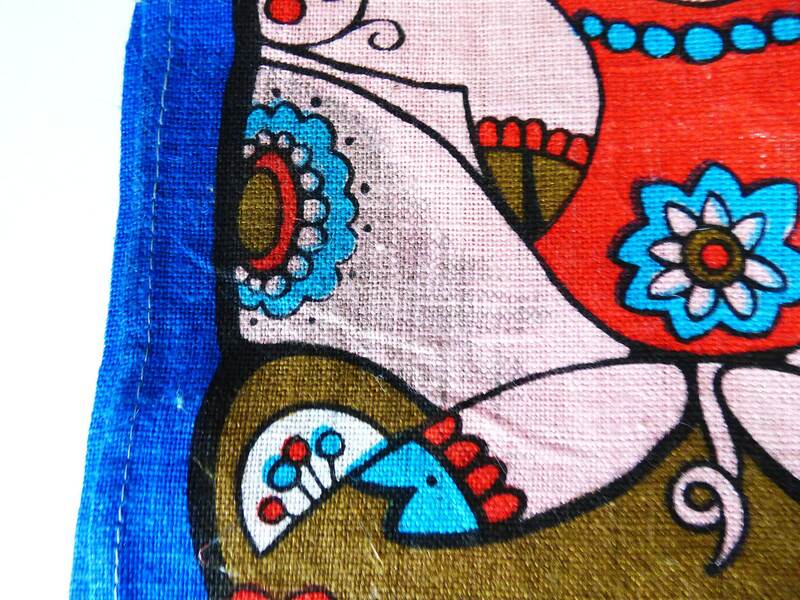 Condition is good, used with faded pen marks, there is also a mark to the pig design see photos.